That’s right! For the New Year, we will be hosting Fabric Fridays where you will see a sneak peek at our latest collections shipping to your local quilt shop! Plus, you’ll be able to win a Fat Quarter Bundle of the collection! You’ll be saying TGIF in no time! Thank Goodness it’s Fabric (Friday)! This week we are showcasing the delightful second collection from Sarah Fielke “Snippits”. This collection is sure to let your imagination run wild. The sharpest scissors, the straightest seam, the perfect buttons and a great thimble print along with mini dots enliven this pastel hued line. Fresh and modern. Snippits would make any sewer happy and feel inspired. Check out this great free project by Stacey Day "A Great Notion", that will be featured on Windham Fabrics Free Projects page. 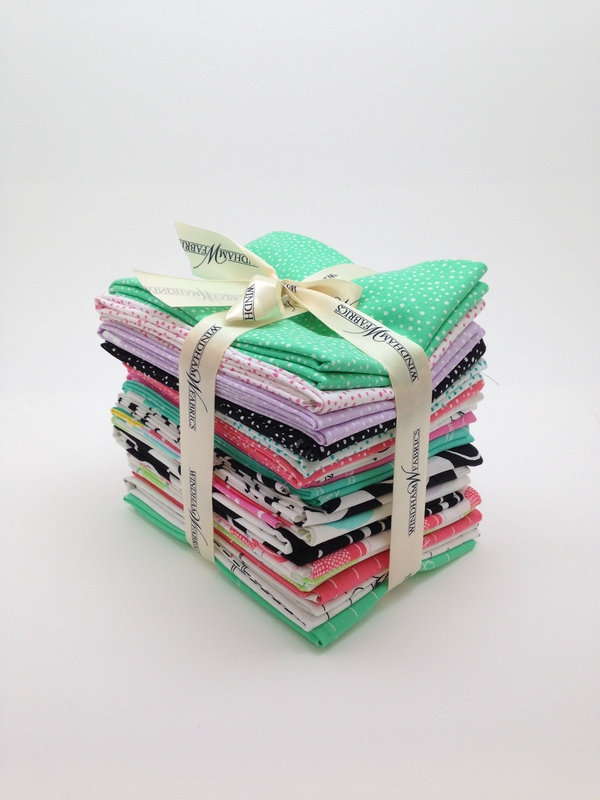 Be sure to leave a comment on this post and tell us what you would do with this adorable sewing bundle! Contest ends Wednesday, January 28, 2015. Pretty fabric- looks like Spring! I think they would make a great spring table topper. Nice, bright and cheery. This bundle makes me smile. I would make a table runner and some mug rugs and potholders. I love the color combination in this collection and would most likely create a quilt with it. Simply perfect for a wall hanging and maybe a photo board for a friend’s daughter. The color combinations are right on! Love!! Good luck to everyone … enjoy your day! I have a baby quilt to make for my cousin baby due in May 2015. These colors would make a beautiful quilt for the baby. Hugs & Kisses lap quilt or a square in a square lap quilt. Thanks for the chance to win. Love the free project. The bundle looks fabulous. I would make a quillow. Thanks for bringing back fabric Fridays. Lovely bundle and love the colours. Would use the Snippits bundle for a new quilt for sure. A sundress for one of my granddaughters..
Ooh! How fun! This would make a great tote, or it would be perfect for one of those many-zippered catch-all bags for carrying sewing supplies to and from classes and sewing playdates! That would be the start of a fun quilt. This is such a fun collection! I just love the greens- thanks for the chance to win! Went to the windham site to get a really good look at these lovely sewing fabrics. Such inspiration. Think I’d made a quilt for the sitting area of my sewing area where I hand stitch. Any leftovers would be used for pouches as gifts. Thanks for the opportunity to win. 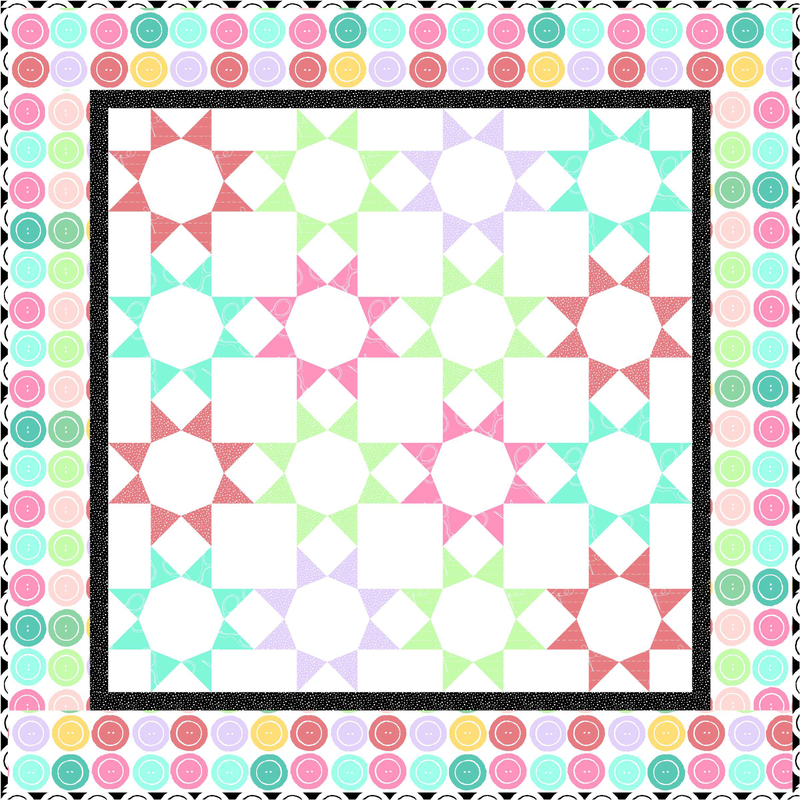 I love Stacey’s quilt – I’d love to use these fabrics and Stacey’s pattern to make a quilt for my daughter! I love the colrs in”Snippits” Fat Quarter Bundle! I’d make a quilt fro a child with the fabric! I love the spring colours for this quilt, amazing! I’d make a fabulous picnic blanket. Thanks for the chance! Baby quilts would look so good in this fabric. I just love these fresh colours! I would make a sampler quilt so that I would be able to use all the fabrics in the collection together! I would make a “modern” quilt!!!!!! I need to make a baby quilt for a little girl and these would be perfect. I’d make a wall hanging for my sewing room! Beautiful fabric collection!! I would make a quilt! I would make a fun bag and some small zipper pouches for gifts. Thanks for the giveaway. I think I would have to make some new accessories for my sewing room – it needs freshening up! Thank you for the giveaway! Lovely fabrics from a great Australian designer. Time for a Sew Together Bag I think! Thanks for the giveaway. Would like to make a huge bag to take to quilting and a bright modern quilt. I would make a fabulous tote bag to carry my hand quilting project (since I’m currently using a nylon shopping bag). I would make a quilt for someone lovely. My sister is my sewing buddy. Right now she’s taking her husband for chemo every day and we haven’t been able to sew together. This would be perfect to make a “I love you” quilt for her sewing room wall. And maybe a take along bag for projects to help the time pass. I would make a bag for my all my fun sewing notions to take on a sewing getaway! Thanks for the giveaway! Those fabrics would look great as accent pieces on little girl’s clothing or in a project for someone who likes to sew. I would make a n Applique quilt and hand quilt around the picture. I like that quilt pattern! The fabrics would b beautiful in a quilt! THank you for the great giveaway! I think I would make some storage cubbies or baskets. I’m trying to get more organized and need pretty containers. OOh! I think it would be fun to make a mini quilt from this fabric. Such pretty colors!